Home » Buying and selling » Home buying » Property » Renting » Can You Afford To Switch From Renting To Buying? 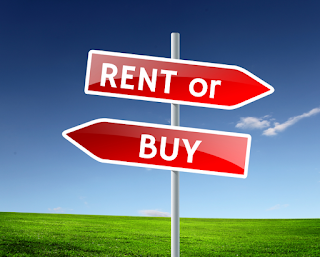 Can You Afford To Switch From Renting To Buying? People are renting for longer in the modern world. After all, it ensures they don’t get tied down to a single property. And moreover, they just can’t afford the costs to buy a property. However, investing in a house is something you should do sooner rather than later. After all, you might be wasting hundreds every month on rent. And the sooner you get a house, the quicker you can pay it off over the years. And the more time it has to grow to make you a profit! However, here are some financial things to consider before you decide to switch from renting to buying. Have you got money aside for the deposit? A lot of people don’t realize that they have to put a substantial amount down before they can be considered for a mortgage. In fact, a lot of mortgage providers will ask you for at least 10-20% of the house cost. Therefore, before making the switch from renting to buying, you need to ensure you have some savings aside for the deposit. And if you haven’t got any money put aside now, it’s worth going for a high interest savings account which will help you build up the money quicker. Or there is also the option of talking to the ‘rents. After all, they could potentially give you some money to help you get on the property ladder. And you can always try and pay them back in the future when you have more disposable income. Will the mortgage be less than your rent? You need to make sure you are clear on the repayments before you go any further with your dream of buying. After all, a lot of people don’t know how much the mortgage will cost them every month. And are left pleasantly surprised when they find out the monthly repayments. After all, it’s often a lot less than rent costs. Therefore, it’s a good idea to look for the best home loan to see what the repayments would be if you did go ahead and get a mortgage. And if it’s less than your current rent, it’s worth making the move for the sake of your financial future. Just make sure you take into account bills as well before going ahead with the move. After all, you should be able to find out online what you might pay for the humble abode! Have you taken into account the extra costs? A lot of people forget that the house buying process is not as simple as just paying for the mortgage. For one thing, you will need to pay out for a solicitor who will deal with the legal side of the house move. They should be able to give you examples of the cost before you go ahead and work with them, so you are not left with any financial surprises. You also will have to pay for a property surveyor to check out the home. After all, you don’t want to buy a property which has a ton of problems. Therefore, you need to put money aside for both of these before you head down the buying route! And remember to pick a home which is within your financial limits. After all, you don’t want to get into debt as you choose a house which is out of your budget!